We found 239 Elements deals in National USA. Tis the season for pumpkins, holiday gatherings and flat screen TVs. Skip the lines and get your refurbished ©Element Electronics 26-inch Flat Screen TV for $140 (53% off $299.99). Featuring HD 720p and more! New LS-1000X-6W lifeSMART 6 Element Infrared Heater 1500 Watt 1500 Square Feet! 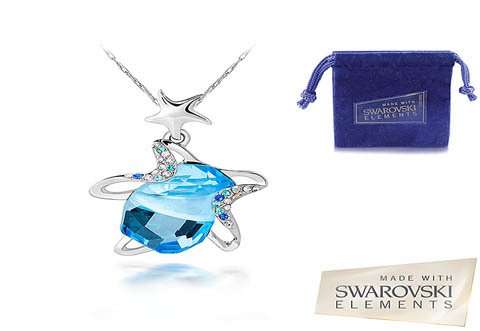 $19 for a Divinity Necklace with Swarovski Elements crystals — shipping included! 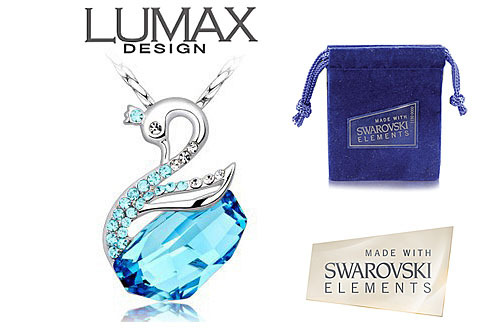 $8 for a Swarovski Elements crystal bracelet + free shipping! 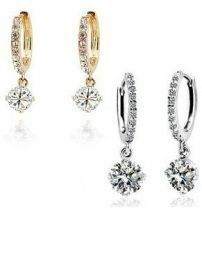 Make every outfit sparkle with 2 Pairs of Single Hoop Swarovski Elements Earrings - one silver, one gold - for $10 from Dillyeo. That's an amazing 93% off $149.99! Treat your skin well with a Purity of Elements Pure Skincare Kit in Hydrate, Balance, Revive or Clarify for $49 (73% off). Each kit includes a serum, moisturizer or skin cream, eye treatment, purifying polish and mask! Free shipping! Cover yourself up in a white unisex Thinsulate Parka for $42 from Dillyeo (60% off). With a Thinsulate™ filling, fleece lining and five pockets, it'll keep you safe from the elements. Four sizes! Wrap it up nicely with the Swarovski Elements crystal triple strand wraparound bracelet from Dillyeo. Show off your sparkles for $10 - save 83% off $59.99. 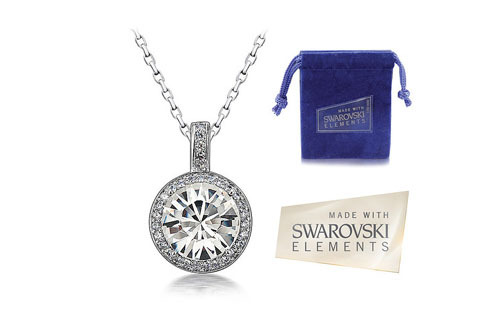 When others are raving about your Swarvoski Crystal Elements Tear Drop Necklace from SummersJewels.com, you don't have to tell them it was only $10. Save 88% and keep it your little secret! Show off your glam style with a Swarovksi Elements Triple Strand Twisted Bracelet from Dillyeo. Choose from clear or black for $10 (reg. $119.99) - save 92%. 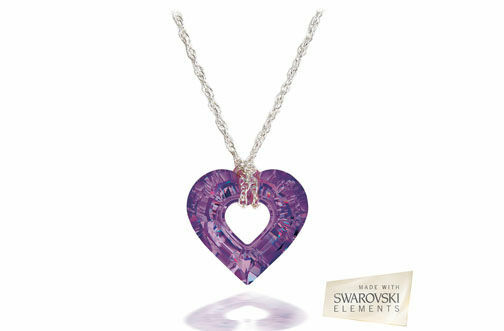 Show off your eternal love with a Swarovski Elements Crystal Hearts Necklace 18K gold or white gold for $12 from Dillyeo. Shimmers with 51 crystals scattered around a 3-dimensional heart suspended within a circle. Be pretty and a little edgy with a pair of Black Metallic Swarovski Elements Studs for $6 (83% off). Two carat total weight, Austrian crystal earrings in gorgeous black with sterling silver overlay. Just like the leaves change colors, so should your earrings. Embrace fall with 3 pairs of Autumn Color Swarovski Elements Studs for $10 from SummerJewels.com. Crystal clear, amber yellow and fall red! Sparkle from your head to your ankles with a glamorous Double Tiered Swarovski Elements Anklet for just $6 (reg. 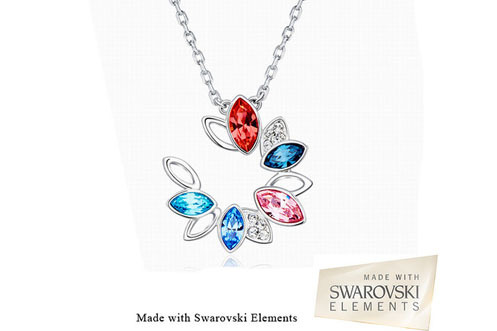 $68) from SummersJewels.com - you save an incredible 91% with four stylish options. Stay classy with a $6 (reg. 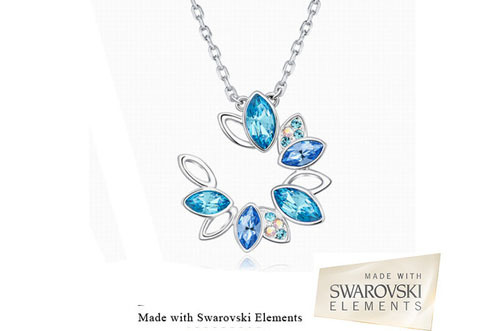 $99) Swarovksi Elements Water Drop Pendant from ePacificMall. The pendant hangs on a delicate twisted chain. Slip it on and you're outfit just became instantly prettier. Save an amazing 94%. Stay classy with a $6 (reg. 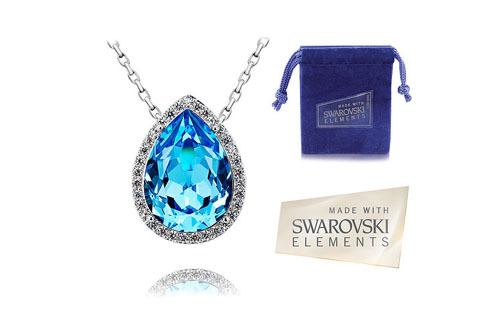 $99) Swarovksi Elements Water Drop Pendant from ePacificMall. 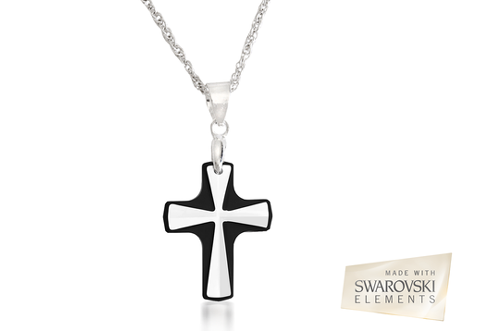 The pendant hangs on a delicate twisted chain. Slip it on and you're outfit just became instantly prettier Save an amazing 94%.